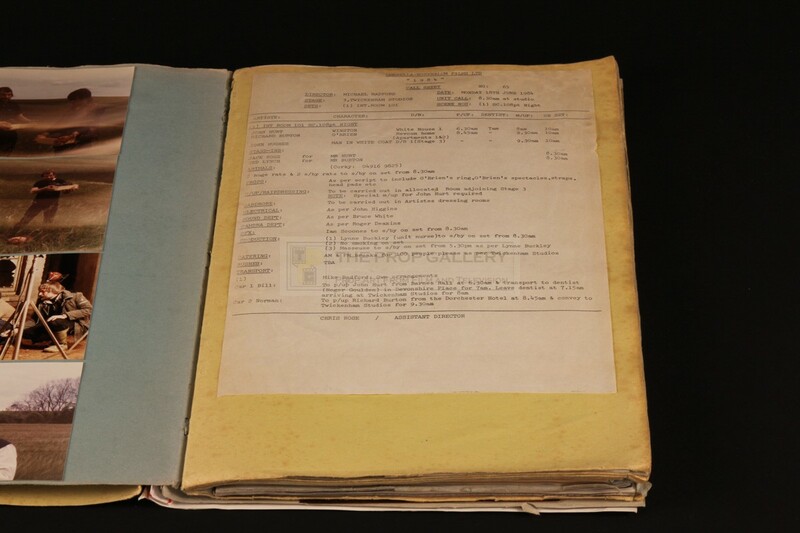 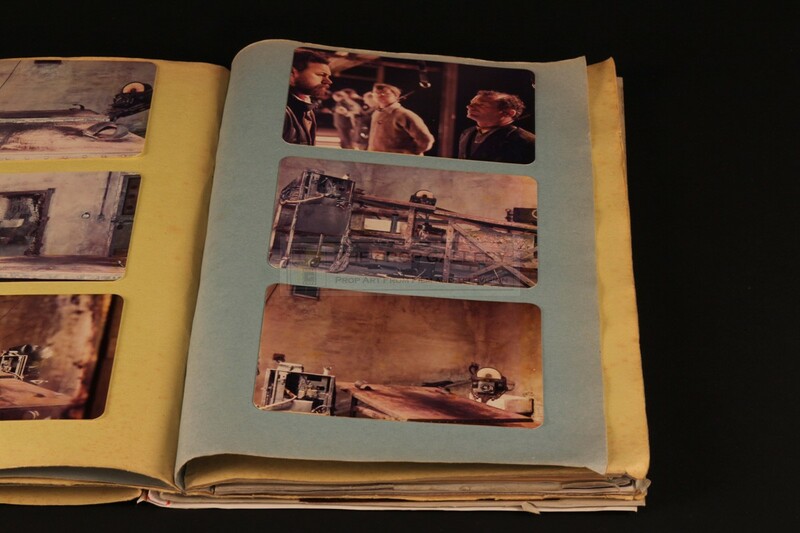 This scrapbook relates to the production of Nineteen Eighty-Four, the 1984 dystopian science fiction picture based on George Orwell's classic novel of the same name. 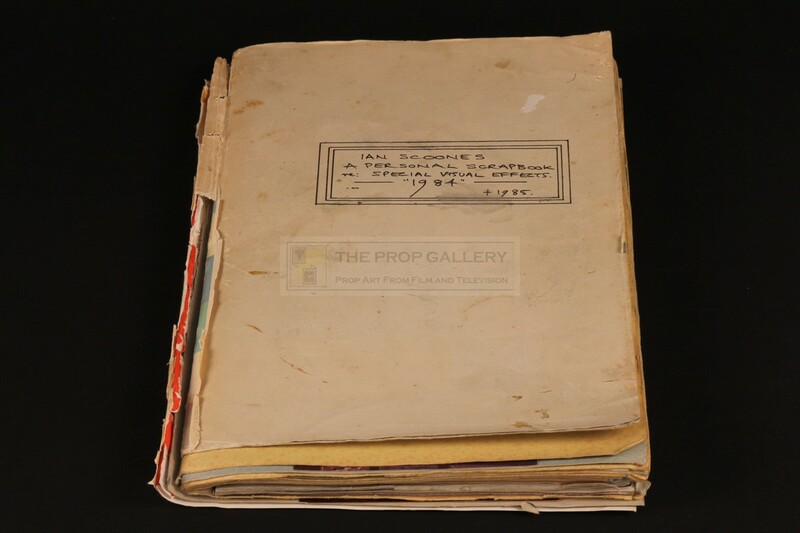 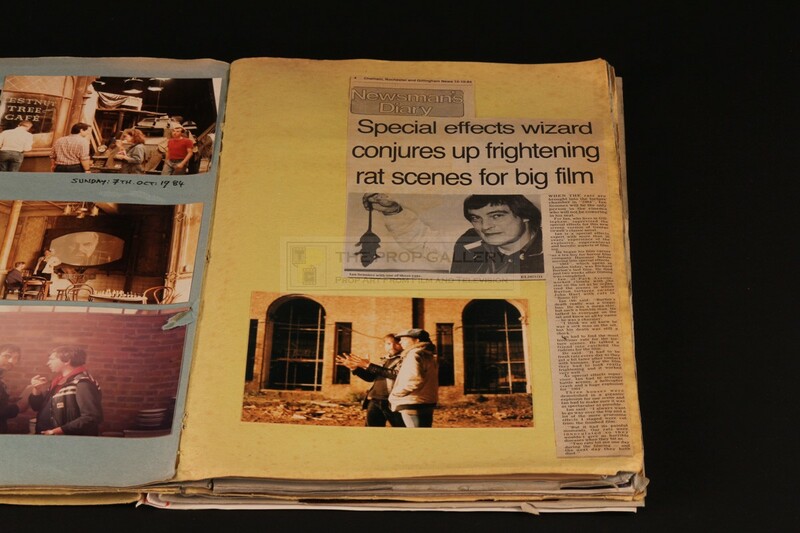 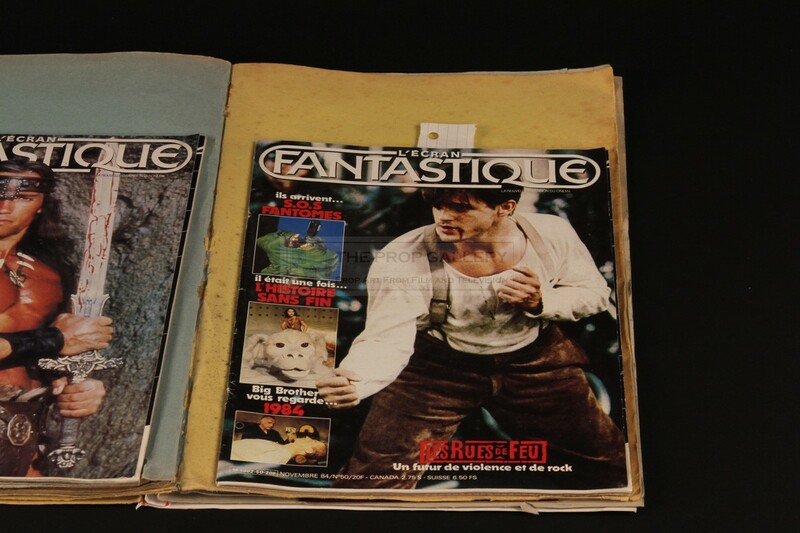 Compiled by special effects supervisor Ian Scoones the scrapbook contains approximately sixty original photographs documenting his work during the production to include various shots of props and on set candids, these presumed unseen and unpublished. 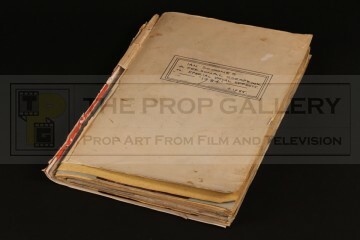 Also present is an original call sheet and various newspaper clippings and magazines relating to the picture, each is tipped in to the period scrapbook which is inscribed to the front cover in Scoones hand 'IAN SCOONES, PERSONAL SCRAPBOOK, SPECIAL VISUAL EFFECTS, 1984'. The scrapbook measures approximately 14.5" x 9.5" and remains in poor condition with front and rear pages detached, the contents in generally excellent condition with some ageing to the photographs. 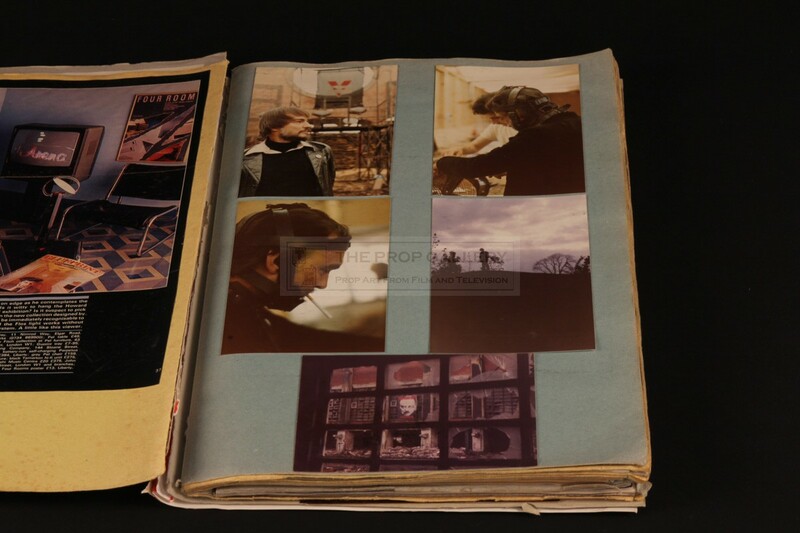 An interesting and unique look behind the scenes of this well received picture.